We've already seen it turn up in a few blurry shots, and seen it pictured a bit more clearly inside a case, but we now finally have our first good, unobstructed look at T-Mobile's still unannounced myTouch 4G Slide. What's more, the tipster that provided the shots to TmoNews also offered up a few quick impressions, saying that the keyboard was "amazing" and roughly comparable to the T-Mobile G2, and that the phone itself is "surprisingly fast" but a bit heavier than the G2. Hit up the source link below for a closer look. 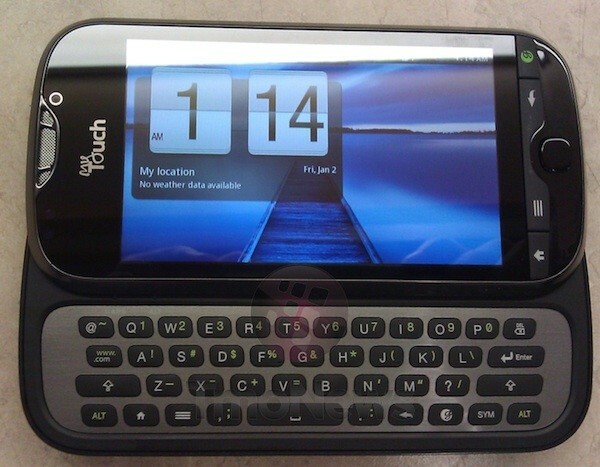 T-Mobile myTouch 4G Slide spotted in the clear, sans case originally appeared on Engadget on Sun, 19 Jun 2011 14:57:00 EDT. Please see our terms for use of feeds.